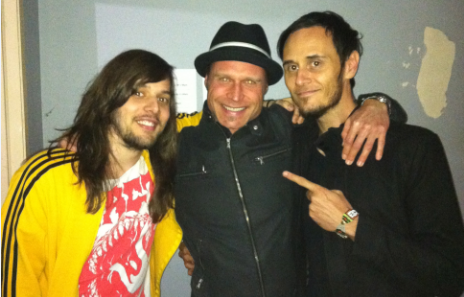 Peter Vox pre show with students Christopher De Cinque (Closure In Moscow) and Kim Benzie (Dead Letter Circus). • Full Access to Peter Vox’s entire arsenal of 5000+ vocal scales. • Premium Ear & Pitch Training. You will be guaranteed to be in key and on pitch at least 99% of the time. advice with same­-day response by phone and 24 hour response via e­mail. • Unlimited Industry Advice & Information. Complete access to all information pertaining to Peter Vox’s 24+ year career as a teacher and 34+ years in the music industry. There is no question that Peter cannot answer regarding the music industry or the voice! • Music Industry Contacts. All Peter Vox’s industry contacts will be made available to you. • Premium Vocal Coaching. 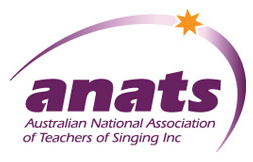 Covering all aspects of vocal health and wellbeing. This will include your physical health, exercise regime, general health and diet. He will also include advice regarding performance stress and anxiety issues, voice and general anatomy, touring schedules and vocal regimes when touring, song choice and key preference, gig preparation and much much more! • Life Coaching. Anyone who has met Peter can tell you what an inspirational person he is! During this lessons, he will cover goal setting, direction, study and motivation. The music industry can at times be difficult – Peter will help you stay upbeat, positive and provide you with the will and strength needed to keep going during tough times and the inspiration required to train your mind for ultimate success. industry tips, hints and the formulas needed to create a great song all of the time. makes a brilliant song as well as professional recording advice. technique, movement, working the stage, dance and choreography. Also mental and physical strategies to overcoming performance anxiety and nerves. • Professional Crowd Interaction & How To Connect And Engage With Your Audience. audience. Peter will cover how to really work and control a crowd and how to have them eating out of your hand! This will include connecting with your audience by means of general conversation, joke telling and subject matter/banter with your audience. He will also cover your song set list and can help you choose how to work out a great set list. He will also advice when and where to speak and interact with the audience and how to create crowd participation. • Premium Cold & Flu Management. To ensure you never miss a show again! Peter knows all the sure fire ways to overcome any ailments and can help you perform confidently even when you are sick.” I have been professionally teaching for more than 24 years and have had a total of ONLY eight days off through my entire singing career” Peter Vox.